Consultant to Aboriginal communities and organisations in economic and social development and health service delivery. It does not have to be like this!! Why is it that we allow this situation to exist in a developed wealthy Nation? Why do we think that 117 houses are enough for 950 people (average 8 persons per house)? Aren’t we aware that the social determinants of health need to be addressed before we spend dollars in getting people healthy and sending them back to live in the same situation that made them unhealthy in the first place? As for stores – such a description as the above makes one realise that despite a Federal Government intervention and millions of dollars spent on new programs peddled by thousands of bureaucrats ferried around the country on charted aircraft the position is still lethal. Lethal to the extent that the median age at death of men is 43 years and women 53 years. This is not just a statistic but an indication that there are hundreds of children growing up without parents and any firm guidance into a future of hope. Would we put up with just one store to retail all the needs of 950 people without competition or quality standards maintained? Until Australia wakes up and acknowledges that it has a Third World element in its population and must be treated in a policy sense in the same way as we do for the developing countries of the World - nothing will change. Remote Aboriginal Australia needs a branch of AusAid to look after it and likely to be a darned side better job that FaCSIA, DEEWR or DoHA. Such mainstream bureaucracies have failed these people and until it is attended by a department that understands the principles of community development, self determination and enterprise facilitation nothing will change. 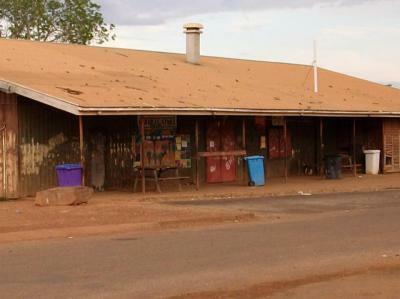 The writer made a plea to the NT Government to consider locating a Good Health Store and Pharmacy in the Growth Towns, of which the above community is one, some 15 months ago and to date nothing has happened. The situation is dire; it is urgent; and cannot wait while bureaucrats shuffle policies and accompanying papers around gathering new facts (that are really the same as the old) and allow another generation of Aboriginal Australians be brought up in a state of poverty from welfare dependency. Submitted by Chris Skinner on Mon, 03/05/2010 - 14:05. This store, I am pleased to report, is to be replaced with a brand new building by December this year. Whether the prices will drop is another matter - but at least it will be an improvement.